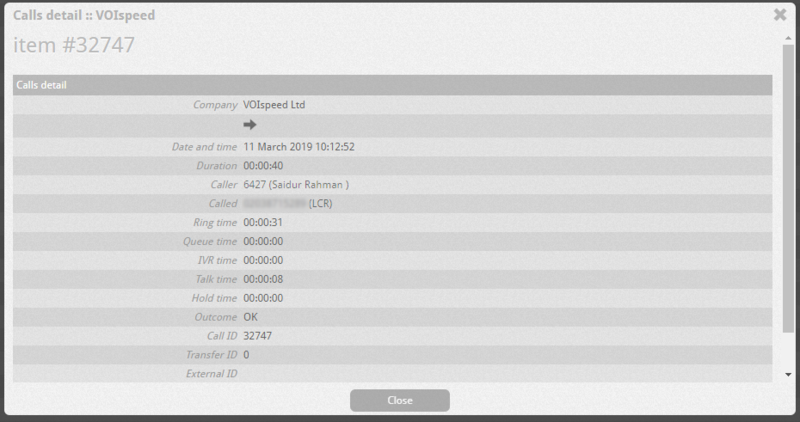 The Ucloud calls report provides the ability to collate and analyze the calls processed by the PBX within any desired time period. 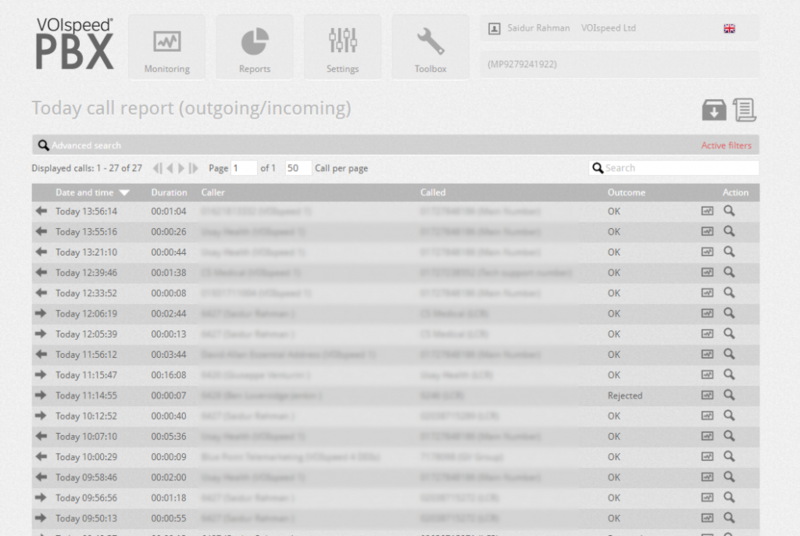 To access this hover on ‘Reports Tab’ and click ‘Call Reports’ on the drop-down.  Each call list displays information on the call including the date, time, duration, calling name (if the caller number is stored on phone book ), phone number and outcome. By default this displays outgoing/incoming calls for the current day. Clicking on the advanced search/active filter bar allows you to modify the parameters of the report. Direction: Choose the vector of the call. Caller ID: Option which specifies who first established the phone call. Called type: Option which specifies the respondent of the call. You can export the resulting report as a csv file (with semicolon or pipe as alternative separators). To export, you can either click export or the box in the top right-hand corner. You can save the template of the report and change the name. Click Send report via Email allows the user to receive the report at a certain time. You can add a recipient list of email addresses who you would like this report to be sent to. 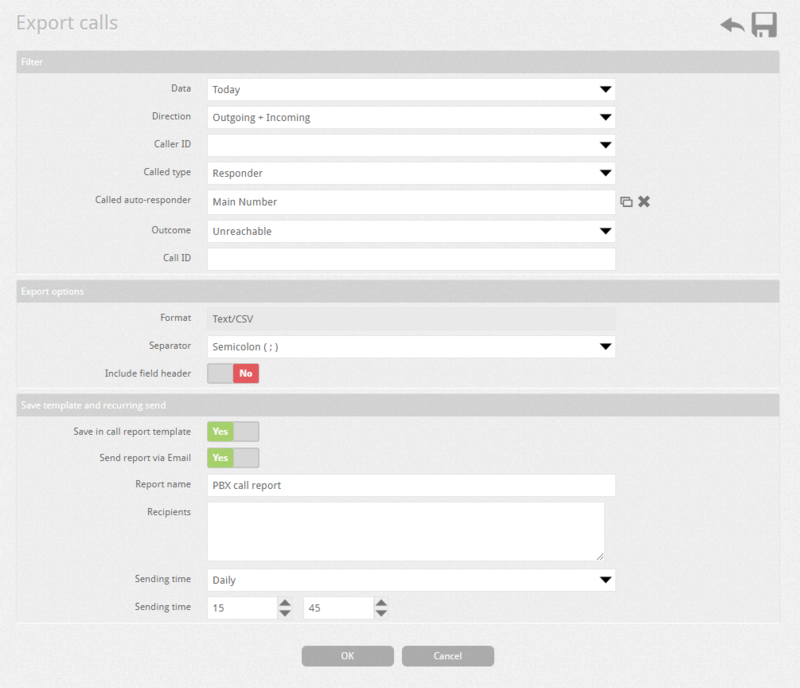 You can also edit and update the Saved template on the main Call reports menu. You can turn off or change the recurring email sent to certain email address in the list. Sending time allows the user to configure the frequency and the specific time of the reports being sent to the specified emails.